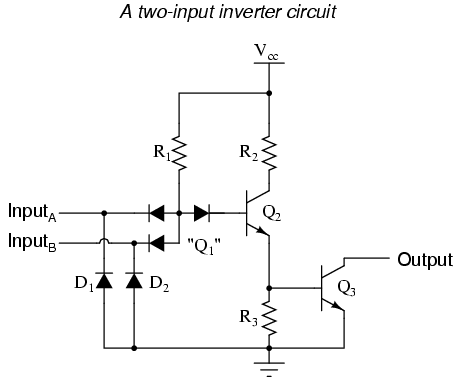 This schematic illustrates a real circuit, but it isn't called a "two-input inverter." Through analysis we will discover what this circuit's logic function is and correspondingly what it should be designated as. 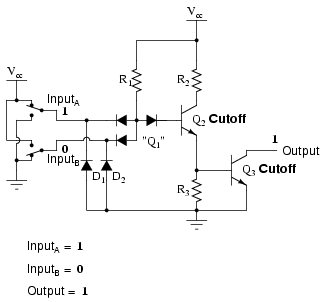 In the single-input (inverter) circuit, grounding the input resulted in an output that assumed the "high" (1) state. 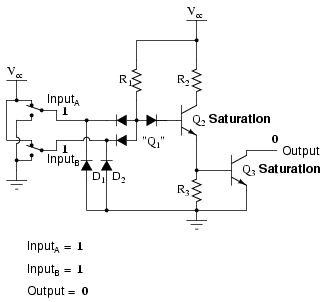 In the case of the open-collector output configuration, this "high" state was simply "floating." 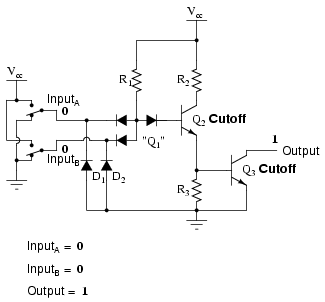 Allowing the input to float (or be connected to Vcc) resulted in the output becoming grounded, which is the "low" or 0 state. 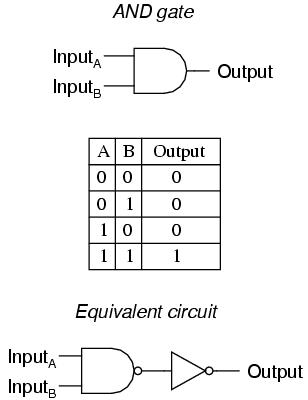 Thus, a 1 in resulted in a 0 out, and vice versa. 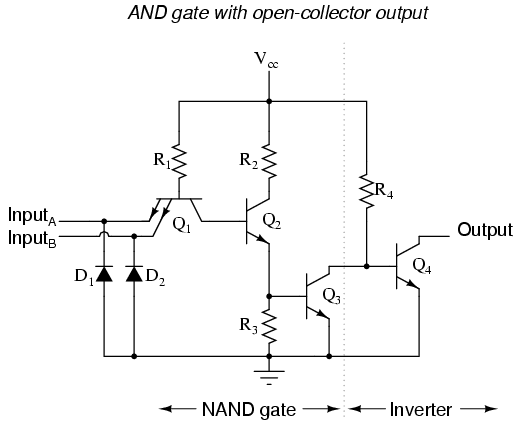 Of course, both NAND and AND gate circuits may be designed with totem-pole output stages rather than open-collector. I am opting to show the open-collector versions for the sake of simplicity. 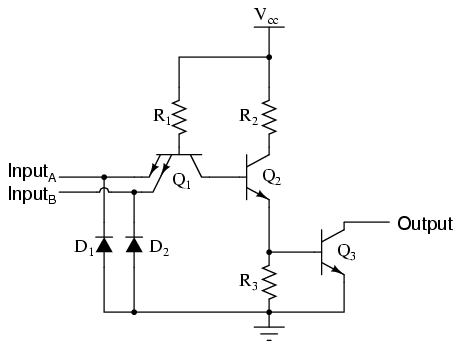 A TTL NAND gate can be made by taking a TTL inverter circuit and adding another input. 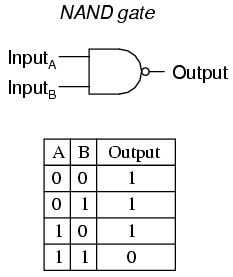 An AND gate may be created by adding an inverter stage to the output of the NAND gate circuit.